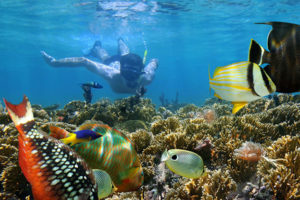 Snorkeling: A wonderful activity for the whole family to enjoy! 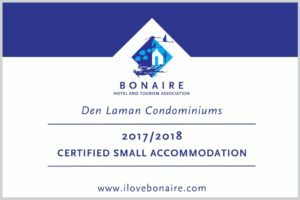 With Bonaire’s shallow reefs, there are many areas that offer great snorkeling opportunities right off shore. One of the best areas is accessed directly from Den Laman heading south to a caved-in cement pier we refer to as “the Aquarium”. Schools of fish swim Inside the structure or hide under cement overhangs while the cement walls themselves are well encrusted. Orange cup coral is especially prolific here. It extends beautiful translucent tentacles at night, making this site an ideal location for a night snorkel – something every one should try at least once!